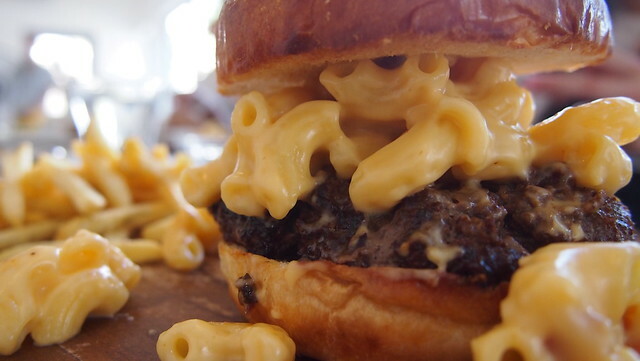 On the look out for a new restaurant to try this weekend? 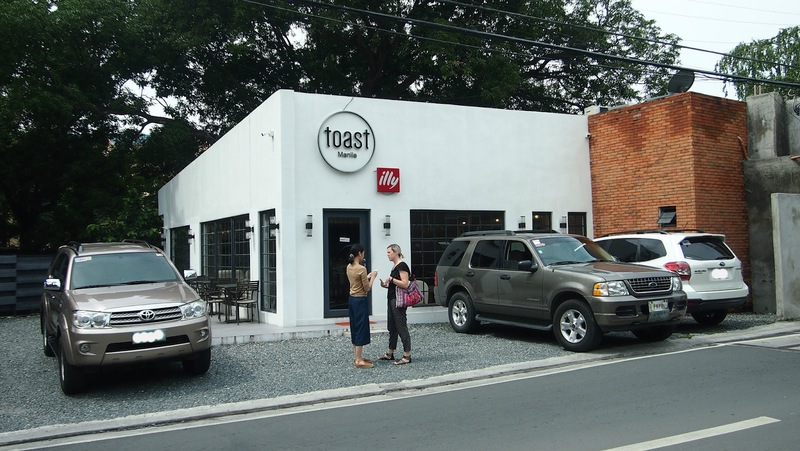 Why not try out Toast Manila in San Juan! 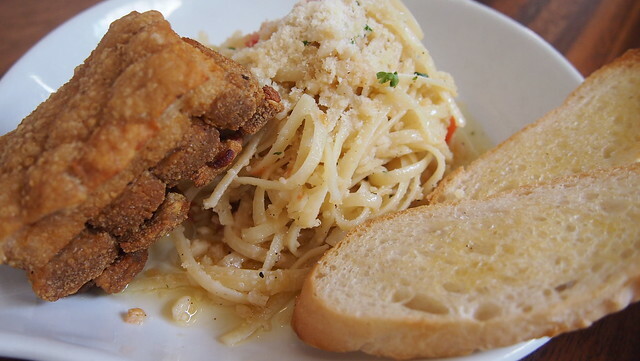 Two weeks ago, I had breakfast and lunch at Toast Manila (on separate days ha! Haha!) and I went home with a happy tummy. Breakfast is my favorite meal of the day! I am a morning person and I can't get through the day without a decent meal and coffee in the morning. I think it's the only time of the day that moms enjoy because the kids are in school. I have been spending my mornings attending pilates classes, working in coffee shop or having breakfast with my mommy friends. And the recent one was at Toast Manila! I love the ambiance and interior. The place is very maaliwalas, love the big windows. 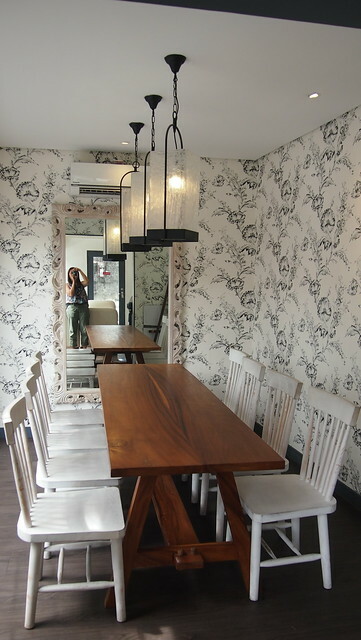 They have a small private room that can sit 8 people, perfect for meeting, little reunions and even for your workshops! Love the table and the Windsor chairs! 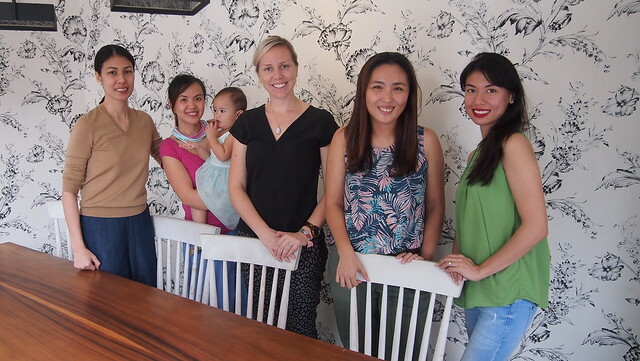 In between making chika with Chessy, Michelle and Amber, we were able to sample different flavors from all over the world! 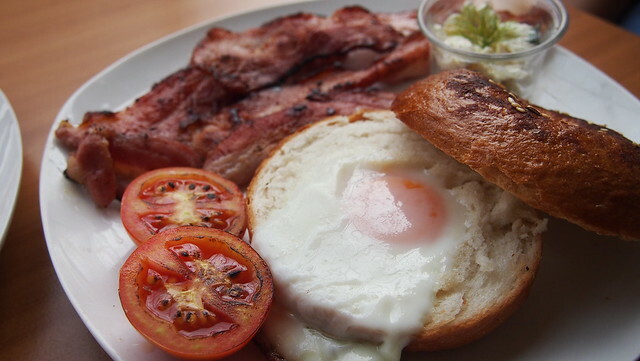 American (Php350) which has sunny side-up egg, bagel with herbed cream cheese, and bacon strips. The bagel was a bit tough (maybe because it was heated earlier before we arrived) but those bacon were so good! This is my personal favorite: Norwegian (Php350)! 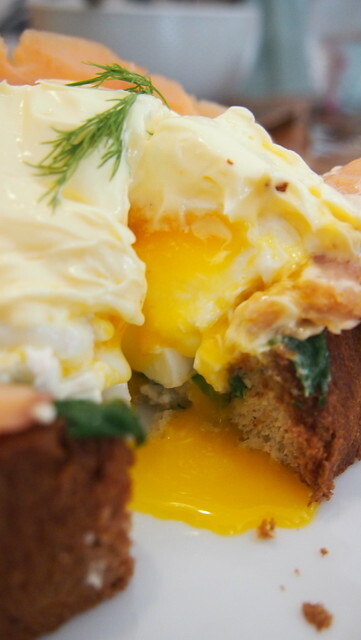 Just look that big dollop of homemade hollandaise. 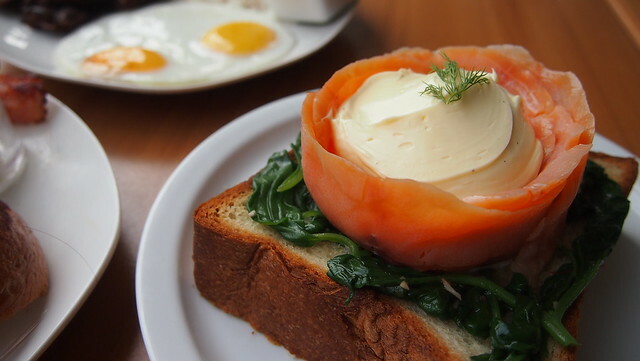 Yummy smoked salmon on a bed of spinach on toasted brioche with poached egg in the middle. So G-O-O-D! 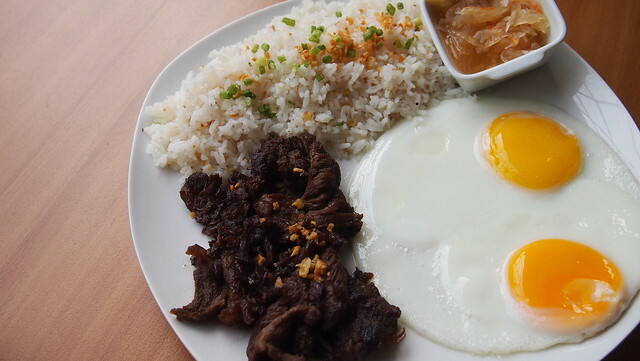 If you're in the mood for something Filipino, try the Beef Tapa (Php250) which is served with garlic rice, atchara and eggs. 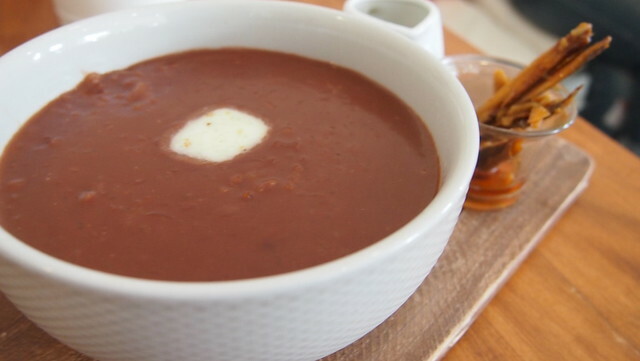 Or try their version of Champorado (Php195) made with Malagos tablea with kesong puti served with gourmet tuyo on the side. Breakfast is never complete without coffee! 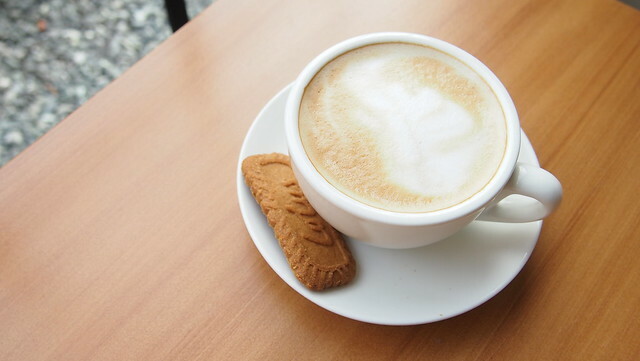 This is their Cafe Latte (Php135) served with Lotus Biscoff biscuit. 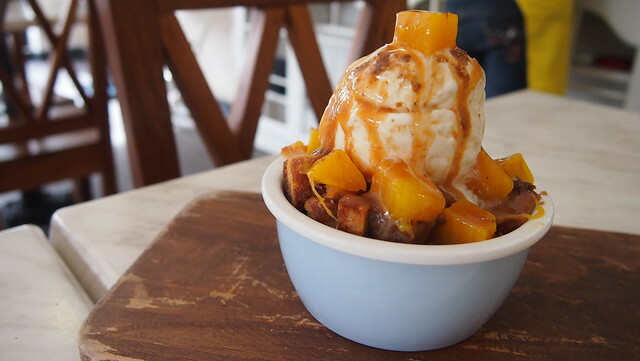 To satisfy your sweet cravings, try the Baked Bread Pudding (Php150) with mangoes, salted caramel sauce and cinnamon sugar. One week after the breakfast with the mommas, I went back again to Toast for lunch. This time I was with my sister and her kids. 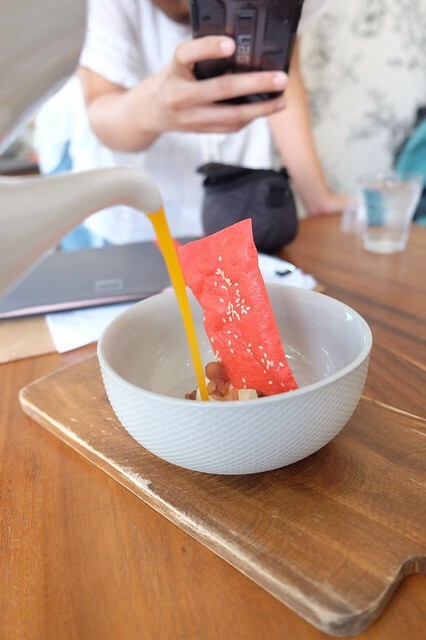 We were invited back again by one of the owners to sample more of their dishes as well as try new dishes they've been working on. 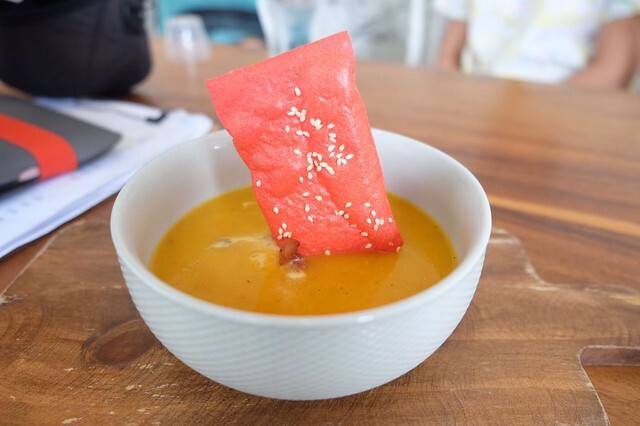 Carrot and Pumpking Chowder with Vanilla Ice Cream (Php190), yes you read that right! With ice cream! See the photo above! 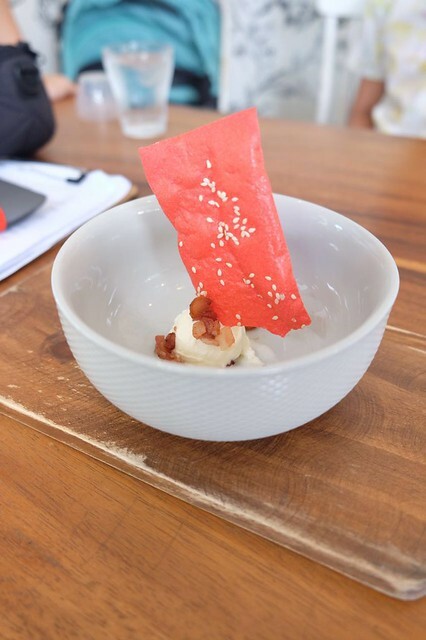 The ice cream gave the soup that extra sweetness and creaminess. Anything with truffle is good! 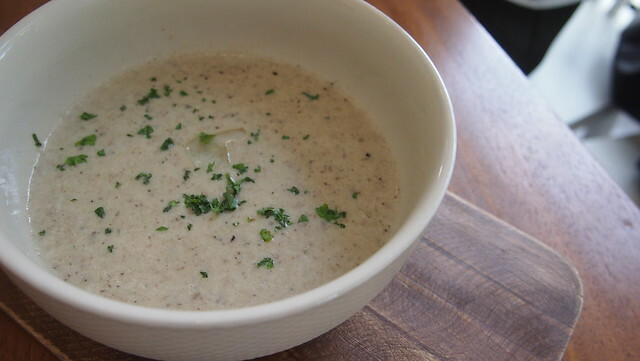 Truffle Mushroom Soup (Php190) to warm your hungry tummies. 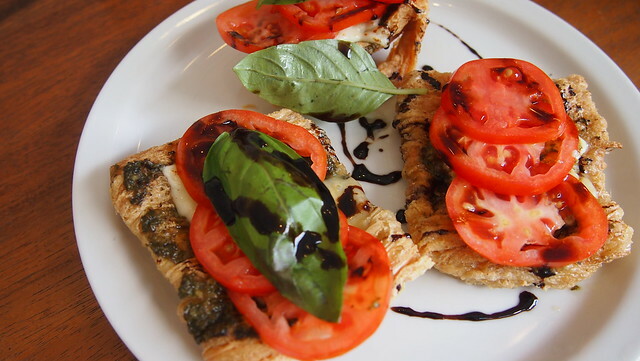 New dish #1: Caprese Toast version! Caprese on top of fried tofu skin. Love the crunch of the tofu skin! They're not serving this yet but I hope they do soon! 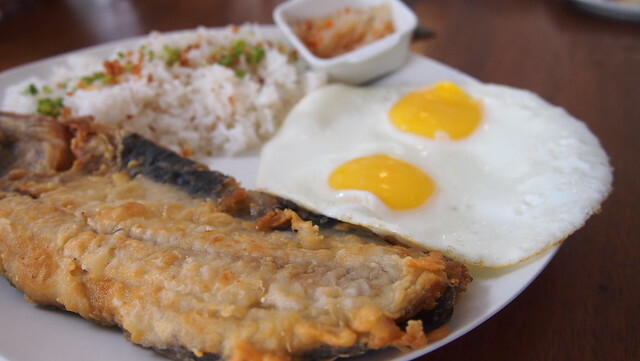 More Filipino specials: Bangus (Php190) served with garlic rice, atchara and eggs. 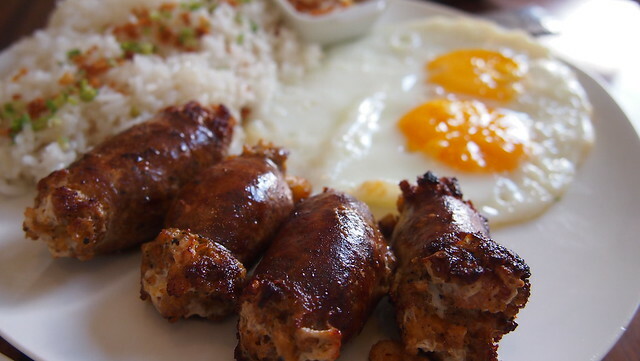 Vigan Longganisa (Php195) also served with garlic rice, atchara and eggs. 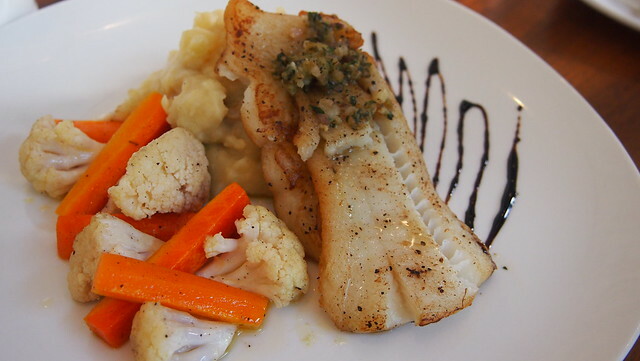 New dish #2: Halibut served with mashed potatoes and veggies. 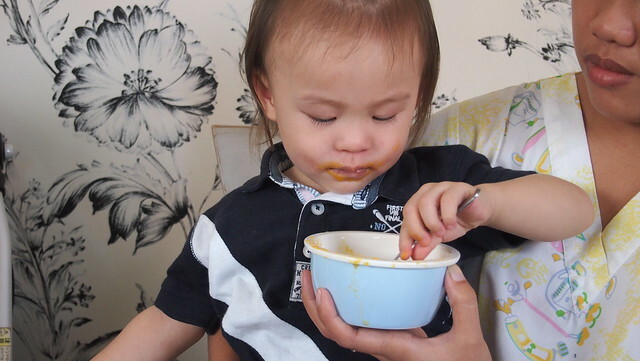 This is yummy! And they're serving this dish na! Yay! 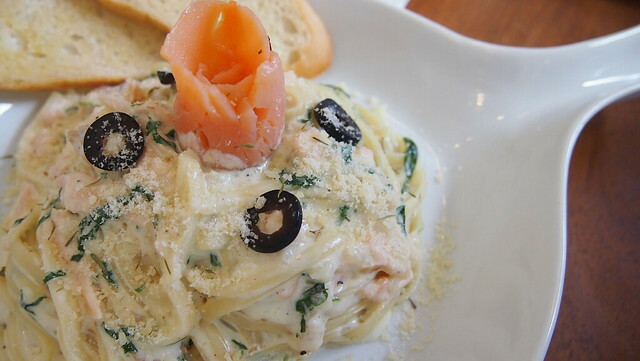 And to end our lunch, we had the Canonigo (Php120). 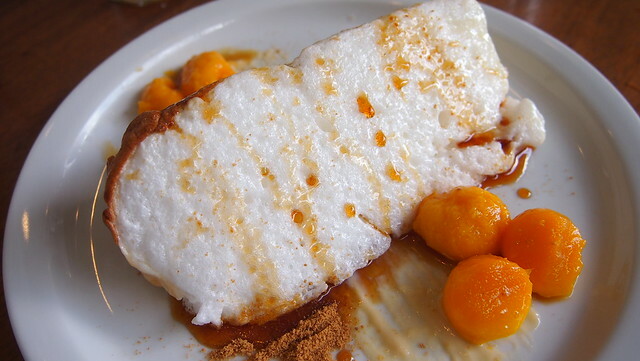 I enjoyed the two meals I had at Toast Manila! 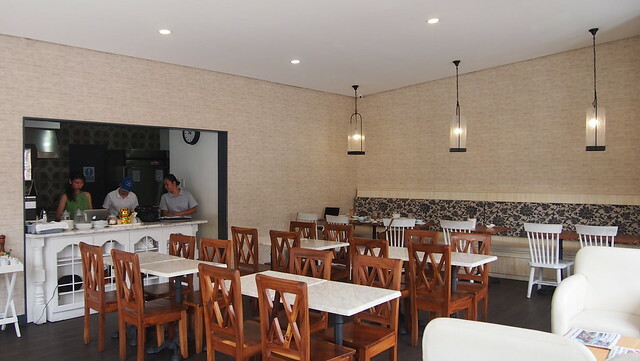 They don't just serve breakfast but also lunch and dinner. 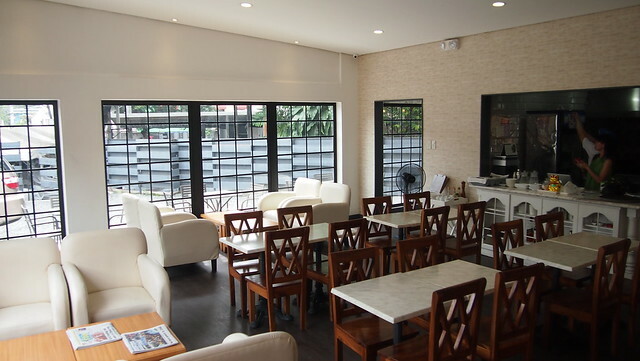 I love the ambiance of the place, it's quiet so if you need a place to work, or a meeting place or even a date place where you can sit and chat and eat good food, Toast is a very good option! 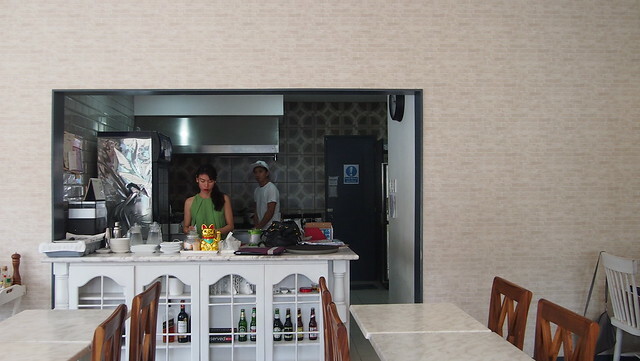 They now serve salpicao and steak so I'm definitely going back and take my family with me!